Practice: There is thorough practice of sentence formation and writing in each lesson, as well as a featured exercises reviewing the grammar point learned. 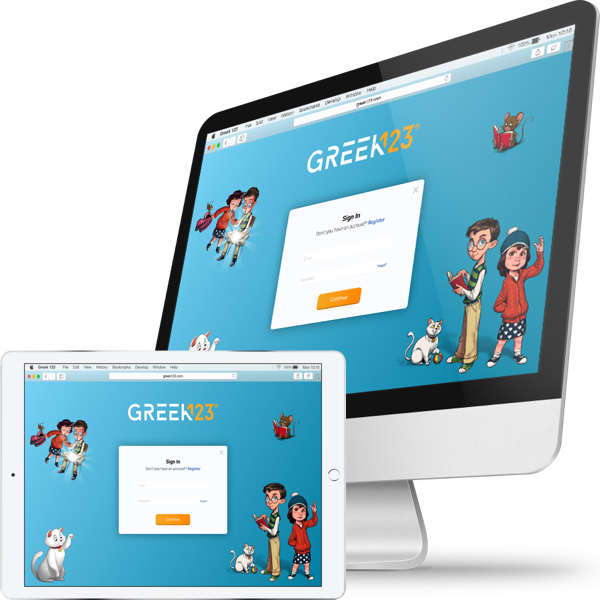 Teachers and students are given all the tools necessary achieve Level 1 goals towards certification and fluency. 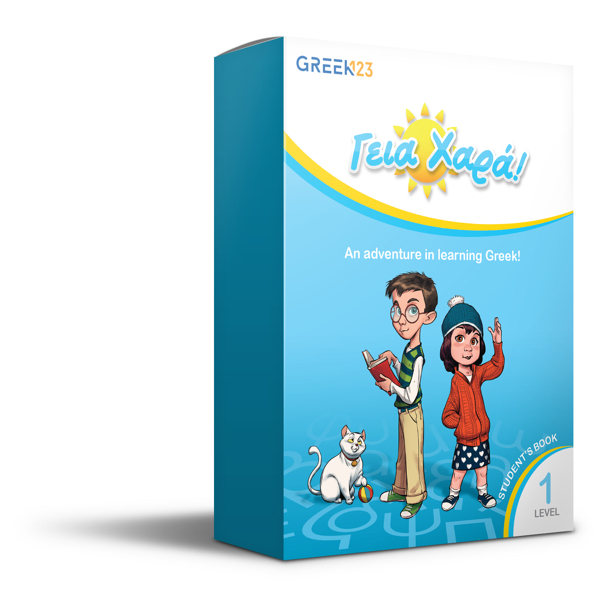 The Story: Meet Niko and Eleni, the heroes of Γεια Χαρά!, and their family – Anna, Manolis, and the grandparents. 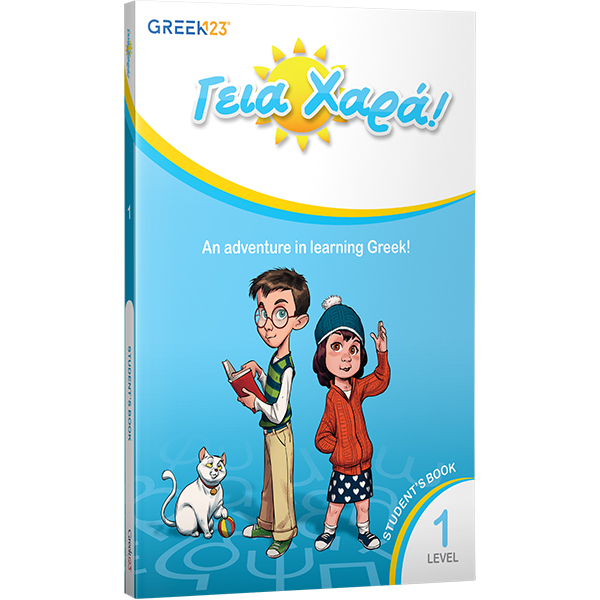 The characters take learners on an exciting journey of knowledge, introducing them to the Greek language and culture through fun dialogues, stories, and activities. Don’t forget cuddly Rita, mischievous Pi, and loyal Scot. They too have a part to play in the fun – and the learning! Culture Pages: Specially written and designed sections highlighting Greek heritage and culture. Include activities pages for important holidays and events with new vocabulary, common phrases and fun exercises. In addition there level 2 poems, plays and prayers.